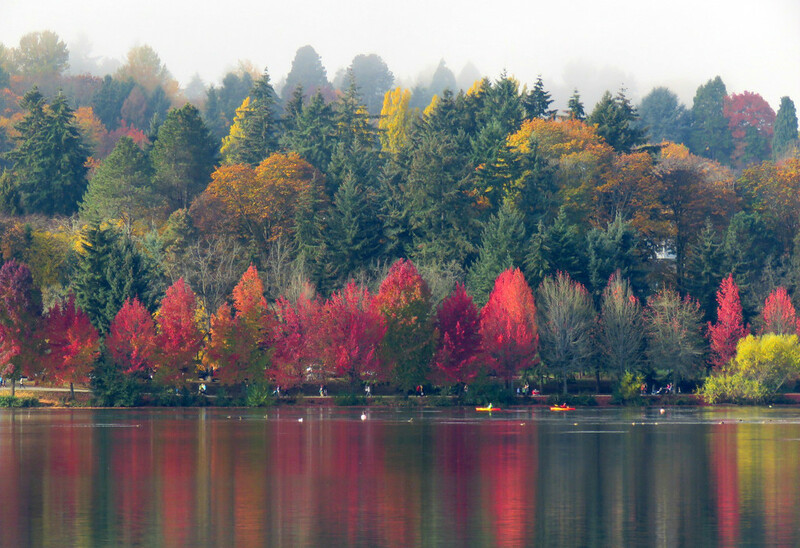 This is an annual fall shot that I get at Green Lake every year. A few of the trees in this shot are totally bare except for a few leaves. This fall has been less showy and shorter in duration for the tree leaves than in past years. Thanks for stopping by. Beautiful color, love the reflections. Wonderful fall show and reflections! Wonderful capture of autumn in all her glory. Absolutely stunning! I am so jealous of your ability to find fall color like this! Lovely capture and beautiful autumn colors and reflections. A magnificent capture of these stunning colours and reflections, fav! oh my, that is spectacular! Wow... the colours are gorgeous! The colors .....outstanding. The reflections.... amazing! What a glorious shot, Gloria! beautiful scene with stunning color and wonderful reflections! What a lovely variety of autumn colours. What wonderful fall colours, and I love those reflections. Huge fav. No words to describe such beauty. Lessshowy maybe... but it's still a spectacular view. It is wonderful! Fav. Fall is arriving slowly in Sacramento...leaves are falling but still waiting for color to pop! Looks like its going to be in November this year. Congrats on TT! I like the way the colors cycle as we look across the scene. The reflections are beautiful! Congratulations of TT, such a lovely colourful image. Love the colors and your composition! FAV!